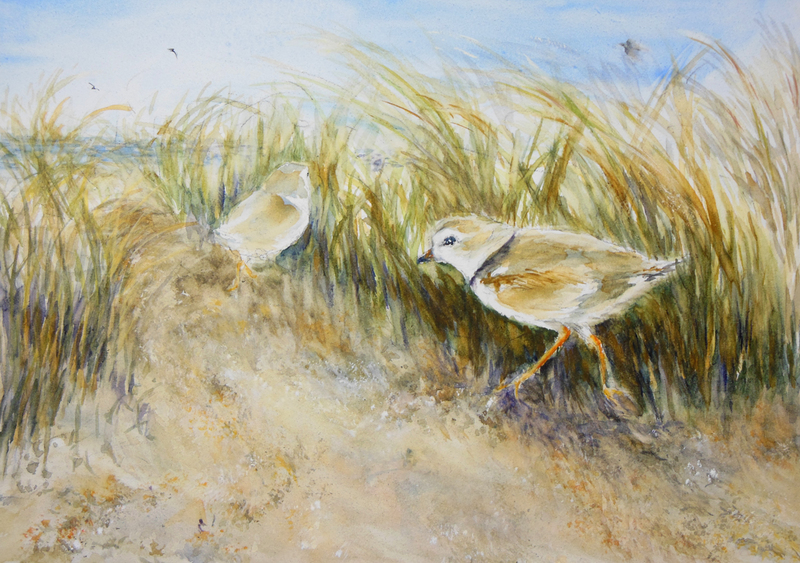 Spotted on one of the beaches at Cape May, NJ, these endangered, piping plovers eyed me suspiciously and quickly trotted under cover into the protected dunes. The one on the left still has juvenile plumage. 5" x 7"8" x 11.25"11" x 15.5"14" x 19.75"17" x 24"